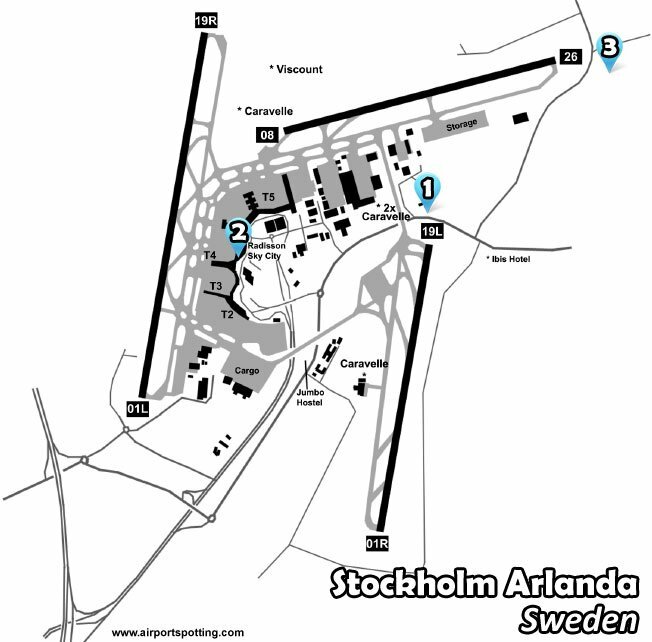 Stockholm’s main airport at Arlanda opened in 1960 and is some 26 miles north of the city. It was built to replace the crowded Bromma airport as the city’s main gateway. The airport is one of the hubs of Scandinavian Airline System (SAS). Arlanda has four terminals. Terminals 3 and 4 are used for domestic flights, whilst 2 and 5 are used for international flights. All terminals are joined together, and the central Sky City area was built as a communal area with places to eat, shop and relax, with large windows looking out over the runways. There are also a number of cargo facilities and hangars at the airport. 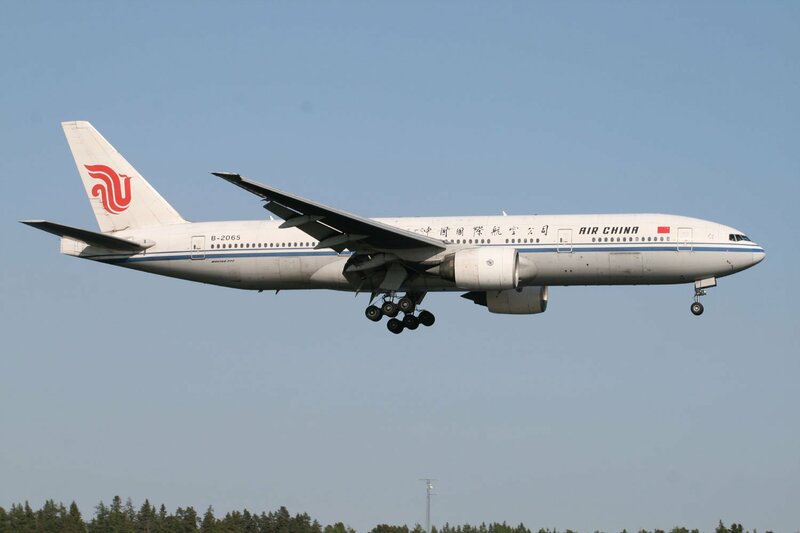 There are three runways at Arlanda – the most recent opening in 2003. Enthusiasts are catered for near the recently-built runway 01L/19R with a covered building known as the Shed. Elsewhere views are possible around the airport. 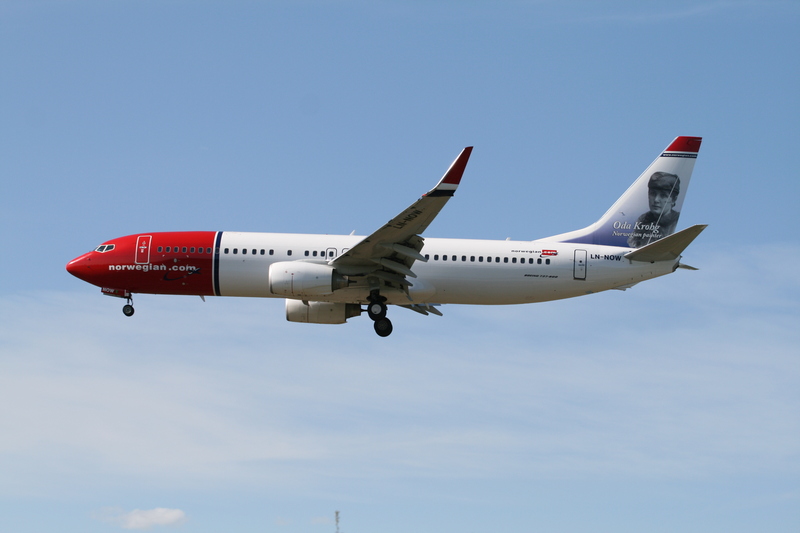 The vast majority of movements at Arlanda are operated by Norwegian Air Shuttle and SAS, including some by the long-haul fleet. Most European carriers frequent the airport, and a number of long haul airlines provide links with North America, Asia and the Middle East. Cargo carriers are also prominent, and if you explore a little you can find no fewer than four Caravelle aircraft stored at the airport. A popular official location provided for the viewing of aircraft is a hut at the northern end of Runway 01R/19L. It also has views over parts of runway 08/26, and the de-icing area. You can’t see any of the terminal stands. Aircraft can be seen at close quarters when landing on runway 19L and taxying past. You can drive to the spot, or take bus line 593 from Terminal 5. The Sky City is located between terminals 4 and 5. It has large windows around the food court area which look out on to the aprons and Runway 01L/19R. The glass can make photography difficult, but logging aircraft is not a problem. A mezzanine area has comfy seats to enjoy the view from. Driving away from the airport, instead of taking the motorway to Stockholm, turn left on the 273 and head past the Spotters Shed. Just before the Ibis Hotel, turn left past the lake and follow the road until you can see the runway approach lights. Turn right onto a gravel road and park up. This is a perfect spot for photographs if aircraft are using runway 26. Located above the terminals and linked into the Sky City area. Rooms higher up and at each end of the building offer great views over the movements – particularly of Runway 01L/19R. Photography is not really possible, however. The hotel can be expensive. A unique high-end hostel inside a former Pan Am Boeing 747-200 (last registration 3D-NEE). It is situated just off the airport link road, close to the cargo terminal and a taxiway. Rooms are comfortable and most have views of some movements, but photography is not possible. Wi-fi internet is free of charge. 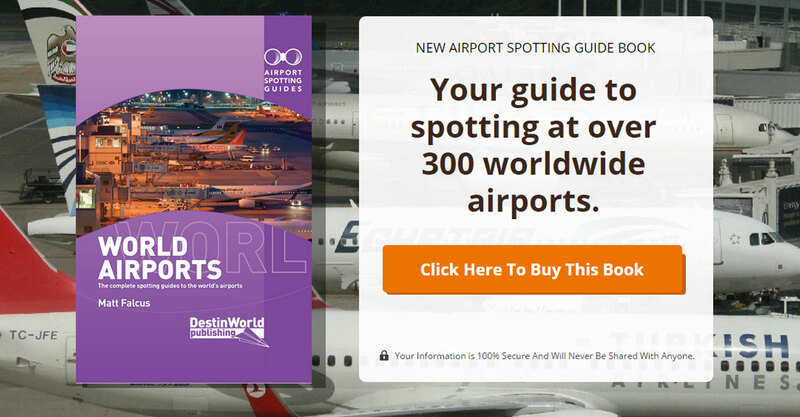 Get this fantastic book covering Stockholm Arlanda and over 300 other airports around the world. It offers tips, spotting locations, spotting hotels, museums, and an indication of what you’ll see. Many airport also have spotting location maps. Buy it now.